There’s a lot of controversy over whether or not we should track our meals or if it has a tendency to cause obsession. While I agree it may not be the best solution for everyone, I do believe there is a time and a place (see my post about what and why I track here) but there are also certain people who do much better holding themselves accountable when they do. I would be one of those people. No one sees my tracking info except for myself, but if I’m going to eat that I ate a whole pint of coconut milk ice cream, I’m going to write it down. If I don’t want to write that down, then I better not eat the whole thing. Plus, if for some reason I forget about eating said pint of ice cream and my stomach hurts the next day, I can look back and with one quick glance, I know the culprit. Get downloadable PDF Daily Tracker here or get 2 on one page here. But even on the other side of things, if I’m feeling amazing, I like to look back and see the foods that played into that amazingness and be sure I’m incorporating those in my diet consistently. Same goes for my workouts. Get downloadable PDF Meal Plan Sheet here. While there are online trackers you can use (like MyFitnessPal) but if you’re like me, I spend enough time on my phone and different apps that it’s nice to use traditional pen and paper. 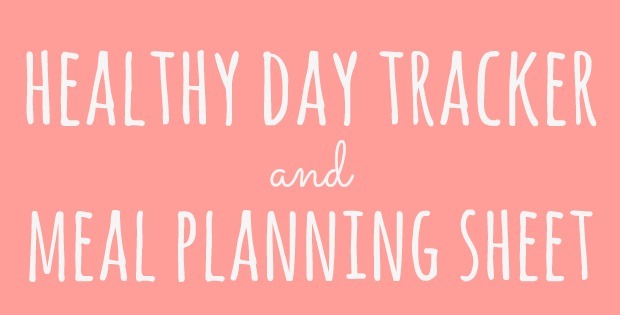 If that sounds like you, today I’m sharing my daily tracker as well as a bonus meal planner! 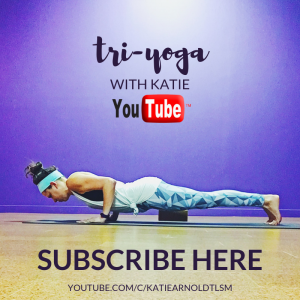 I hope you find these tools as useful as I do when it comes to living a healthy lifestyle. You could even post the meal plan in your kitchen to serve as a menu for your family! Do you track your meals and/or workouts? So great! Meal planning has helped us in so many ways! Thank you for sharing! 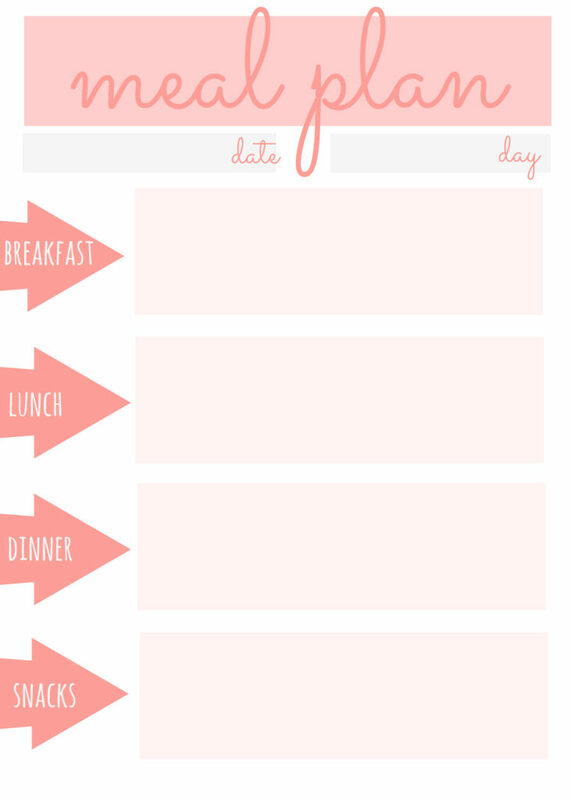 I downloaded your meal plan sheet, I’ve been wanting to plan for a long time now for convenience and I’m finally doing it! I think tracking what you eat is a great tool! I tend to do best with a guideline and then mentally keep track. When I write it down I tend to fall into the obsessive camp, and it can get a bit out of hand. But finding what works is so important for a healthy lifestyle! I am the exact same way! I track my food every day, not becuase I am obsessive about it but because it keeps me from over-indulging. I know that entering in 1 ENTIRE bag of pop chips or whole bar of chocolate into myfitnesspal will not feel good. It keeps me on track. Myfitnesspal works for me but these trackers are a great alternative! I like to track my meals when i havent been feeling good so i can see what foods may be upsetting my digestion! Great idea–love these sheets! I lost a lot of weight since tracking my meals! Thanks for the printables, they are awesome! Chrissy recently posted…How I Feel In 5 Words. I do meal and track my meals. 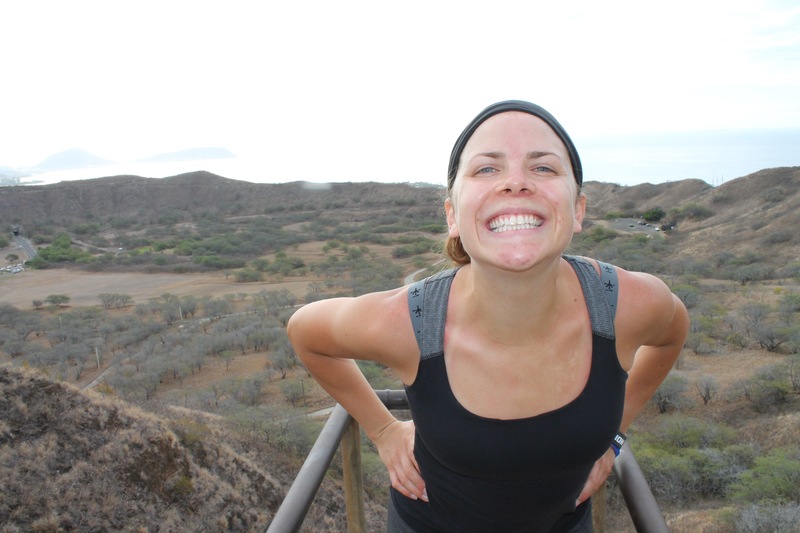 I am actually a health and fitness coach and I believe it’s really important. Like you said, we can go back and see where we slip, what we may be lacking, if our calorie count is too low etc. It also helps my challengers because they can show me what they are eating if they are having trouble losing weight or gaining muscle. Since January, I have been able to shed 45 pounds and I attribute it to tracking my food for accountability. It is also a great way for me to see what I ate, drank, and did for exercise during a one week period of great weight loss or horrible weight loss. I then try to duplicate the success and try to revamp the horrible to turn into a success. What a great idea! Thanks for sharing the printables too…I know they will come in handy! That’s so awesome of you to share these printables! I just started tracking my meals again. I really need to improve at meal planning though. I think it’s an excellent way to stay accountable and honest with yourself so you don’t set up yourself up for any opportunity to fail. 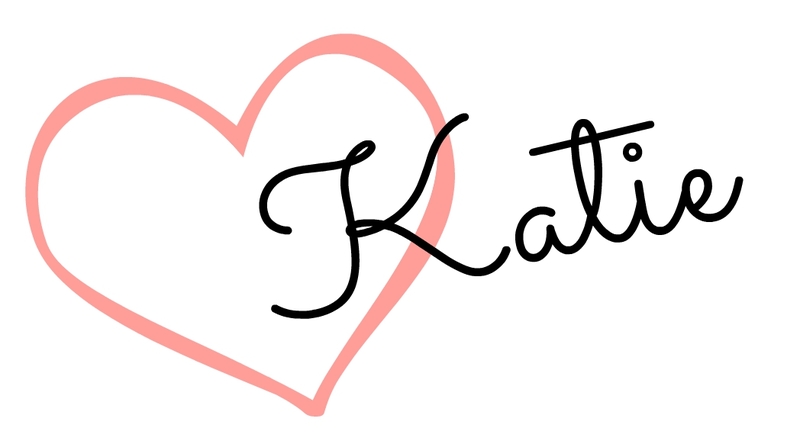 Love these, Katie. I totally agree with you. I track my meals by writing them down too. Too many other things to do on the computer and apps. I love the reasoning behind why you track, and I think that’s really smart. I started doing it to lose weight, and now I just do it to maintain and feel healthy. 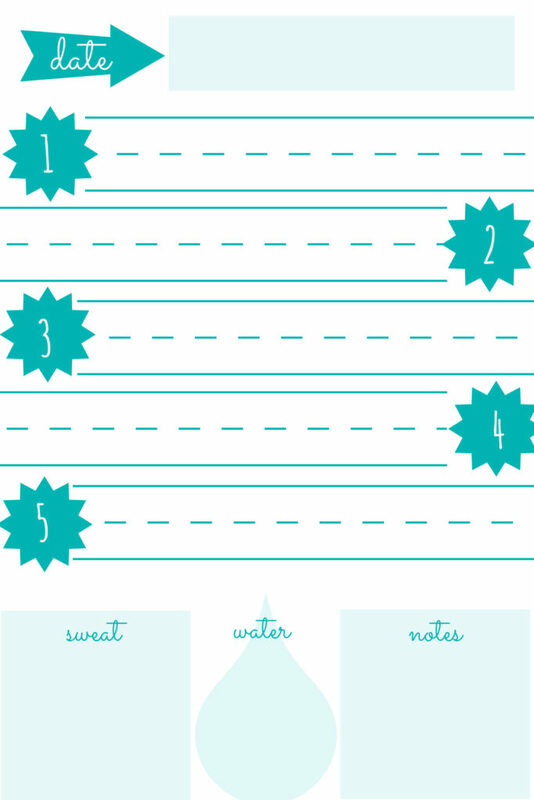 I also track my workouts in my planner, but I love your print-outs, and think I’ll start using them in a binder. Thank you! I usually track everything on my FitBit app, at least during the week! i am really bad at tracking throughout the weekend. I always have trouble sticking to my plans haha. These are so cute!